I recently took a trip down to South Wales to meet Matthew Evans and Scott Powell of Activity Wales Events (www.activitywalesevents.com), to find out more about their marquee event, The Long Course Weekend (www.longcourseweekend.com). The Long Course weekend is an 'iron-distance event over three days', taking place from 12th-14th July 2013 - and you can find out more about that in my chat with Matthew and Scott HERE. The weekend though offers something for everyone, with different distance options on each day, with events appealing to swimmers, cylists, runners, duathletes, triathletes and more - take your pick from taking part on one, two or all three days - as well as enjoying the music festival, fashion shows, parties and more! The first event of the weekend is The Wales Swim (www.thewalesswim.com), which is day one of the Long Course Weekend, Friday 12th July 2013. 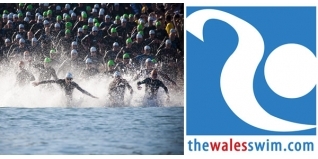 In this piece I talk to Matthew and Scott in more depth about the different events on offer for the swim, which include a 1.9km, 3.8km plus events for juniors. I also chat to local Tenby athlete and multiple Long Course Weekend winner Oliver Simon to get some local knowledge on the course, and swim tips for the race.